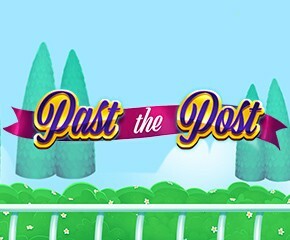 Past the Post by Eyecon is a horse racing sport-themed video slot. It can be played on both desktop and mobile devices. This online slot machine is compatible with iOS, Windows, Android and even BlackBerry mobile devices. Players can also look forward to an RTP of 95.2%. Read on to learn a bit more about this colourful new video slot game. Past the Post comes with 3 rows, 5 reels and 243 ways to win. The player wishing to earn a win in this game will have to land matching symbols from left to right on adjacent reels. Your minimum bet before you get started on this game is 25p while the maximum bet allowed per game is £50. This video slot has brilliant graphics with the action taking place at a horse racing arena. On the reels, you have the funny faces of characters at a typical horse racing event. These include a laughing prize-winning horse, a shocked spectator with a pair of binoculars and a bottle of vintage champagne. You also have a horse race bookie with glasses, some other horses, a jockey and an elegant lady with a fanciful hat. Your Bet: To start playing this online casino game you have to place your bets. To do this you will need to click the coin symbol located on the right side of the reels. If you look at the panel that is above the five reels you will see your overall bet value. Spin the Reels: As soon as you have placed your bet you can proceed to spin the reels and get the race started. Use the Autoplay Option: You can get to automatically spin the reels for a predetermined number of spins when you make use of the “Autoplay” option. 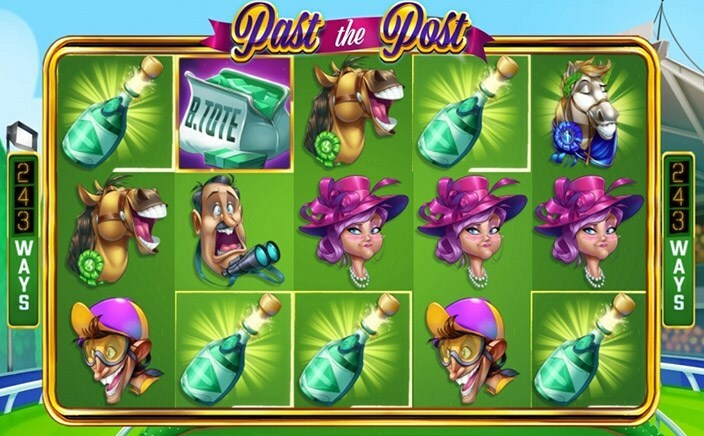 By landing three Tote Bag Scatter icons on reels 2, 3 and 4, you will activate the free spins feature of Past the Post. You can receive a total of 20 free spins and the good news is you can always retrigger free spins during the round. You do this whenever you land three additional Tote Bag Scatter symbols during the free spins round. In this slot, you can retrigger the free spins as many as 15 times. One thing you should know is that the more free spins you play the lesser your win multiplier will be. If you play 20 free spins you will earn a 2x win multiplier while if you play 5 free spins you will earn a 10x win multiplier.